Kombucha is a drink that I heard about, but flew under my radar fro some reason. 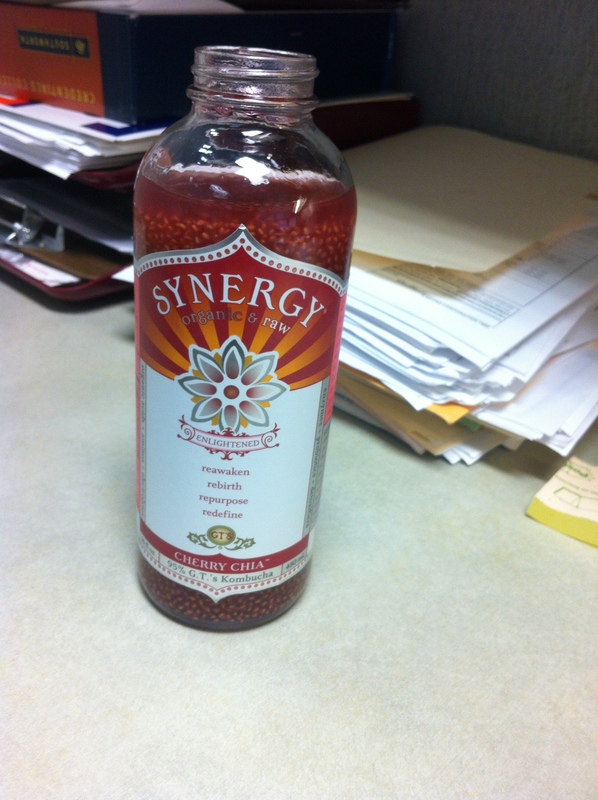 I just happened upon this bottle of kombucha whilst scoping out my local Whole Foods for lunch options. I was think about picking up a can of green tea when this bottle containing chia seeds caught my eye. I had to have it. There was a choice between Raspberry, Grape and Cherry. I chose the cherry obviously. 1 bottle contains 150 calories. Not bad. I was purchasing a low cal tofu salad, so I could handle the extra 150 kcal. What I LOVED was that the whole bottle contained 8g of fiber. Hello! Welcome to my life. In addition to this, was added the probiotics and antioxidants.This is an IBSer’s dream drink. lol. If you see this drink at your local health food store, give it a try. LOVE this stuff! 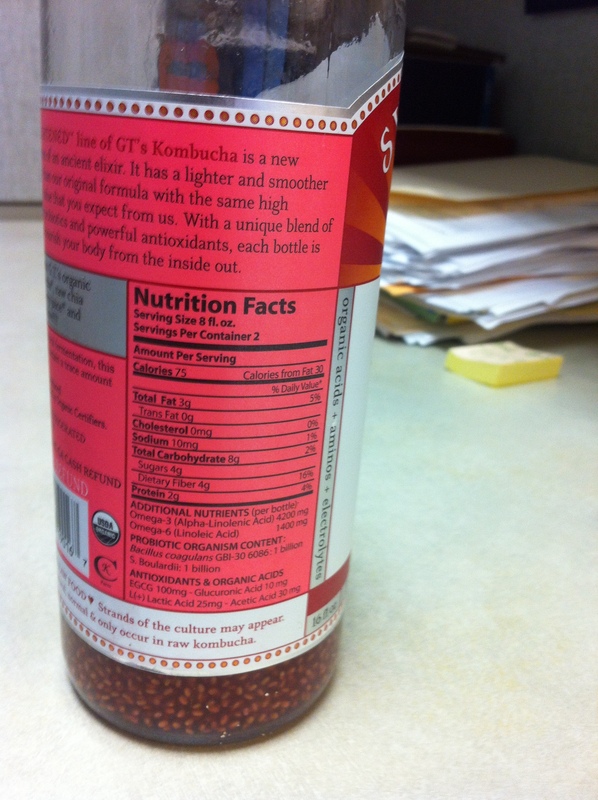 (Browsing the webs to see what others think about the flavor)…As you, saw this in a local store, scoped the nutrition label and was happy to abide the 8g sugar (naturally occurring from the cherry juice) considering fiber, protein and all the super-good stuff from chia (and kombucha itself). Also seems like a great tasty treat that’s ibs-friendly, from your description. Cheers!